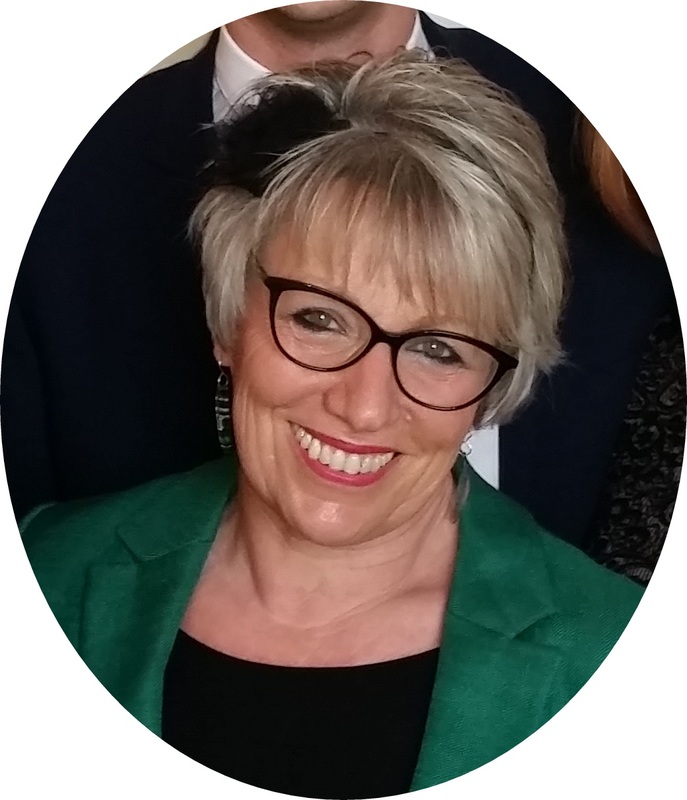 Last week I was introduced by Dr Kathy McLean, Medical Director at NHS Improvement to 180 people comprising senior NHS clinicians, managers, directors, chief executives, patient representatives and members of staff at NHS Improvement, including most of their executive team. And I wondered how my homespun talk about improvement, leadership, the universe and everything would go down. As it turned out, quite well. The cartoon above was drawn by Inky Thinking. I don’t know how they do it, but they capture everything you say that you want people to remember. If you forget that culture always trumps strategy, your efforts to improve services will be ineffective. I’ve been there and occasionally done it the right way. But more often the wrong way. You can’t help others to improve unless you are OK yourself. I have form on not remembering this. Leadership in public services has never been harder with our 24/7 media, including social media, and the anti-public sector rhetoric that appears in most newspapers. Plus we live in a post-fact world – see this article by Guardian Editor-In-Chief Katherine Viner. People believe things that are not true, and don’t believe things that are. I’ve had personal experience of this. And it is horrible. Being an NHS leader is very lonely. Never more so than when you are awake at 3am. People get in touch to congratulate you when something goes well. But when things go wrong, people you thought were friends seem to melt away. There is never enough time to think when you are running NHS services because of competing demands, often from those who are meant to be there to help you make improvements. But you must create time to think or you will make bad decisions. Filling senior vacancies in the NHS is getting harder. And we should worry about this. Because if we aren’t careful, the only ones who apply to be in the firing line will be those who don’t care what others think about them. And that would be very bad for all of us. We cannot separate leadership from mental health. In my opinion, people who experience mental illness from time to time can make exceptional leaders. It is only one thing about them. Plus, they develop skills through therapy that are invaluable – such as managing their own mood, listening really carefully, and not making assumptions about others. I have experienced depression off and on since the age of 15. A nurse said something damaging to me when I was 22 and vulnerable which I absorbed deep into my psyche. For the next 36 years I stigmatised myself, despite being an active campaigner against the stigma of mental illness. It was when I finally came out about my experiences that I was able to address my self-stigma. I have made many friends since then. But if only I had done it before, I could have been a better, more authentic leader. Mental illness messes with your head. It affects 1:4 of us. But 4:4 of us should care about it, not just on humanitarian and economic grounds, but because almost everyone can be affected. We are all on a spectrum of resilience, and if enough bad things happen to us, especially at a young age, most of us will experience post traumatic damage. When I appeared suddenly to get ill with an acute onset of depression in 2013, it was a culmination of things. My own susceptibility, but also workload, loneliness, weariness as I approached retirement, not taking care of myself, listening too hard to my own negative voices, and putting a lot of energy into maintaining a positive front. It wasn’t caused by internet trolls. But they didn’t help. So please don’t do what I did. Get to know yourself. Talk to yourself honestly about how you are. Talk to your loved ones. Take care. Be the best version of you, but make sure that it is you. And try always to see yourself as an improvement project – this makes it easier to accept criticism without it cutting you to your core. I’ve only learned this in the last few years, and it is a revelation! I am lucky. I have dear family and friends. And I got great care. I was able to go back to a job that I loved, which was a major part of my recovery. I know it isn’t the same for everyone. Since the summer of 2014 when I finally hung up my chief executive boots, I’ve been helping others in various ways to be the best version of themselves. And I’ve written a book which I hope you will read when it is published later this year. As I finish this blog, I think of someone who embodies improvement in everything she does. The talented, compassionate and extremely resourceful Dr Kate Granger. Kate is currently in a hospice in what are probably the final stages of a rare and awful form of cancer. But as well as sharing the intimacies of her progress through terminal illness via her wonderful talks and social media, Kate has also revolutionised the NHS and other healthcare systems around the world with her #HelloMyNameIs campaign. She has written several books, and completed amazing things on her bucket list. And not content with that, Kate and her husband Chris Pointon are urging people to make donations to the Yorkshire Cancer Centre, a small charity that helps improve the quality of life of people living with cancer. You can donate here. Kate and Chris demonstrate that being a leader isn’t a job, it is an attitude of mind. That anyone can make a difference if they focus on something that matters, turn a great idea into an innovation and build support for it through honest endeavour. We can all learn about improvement from them. May you go well, both of you. Chris has just posted on Twitter that his wonderful wife died yesterday peacefully in the arms of her family. I only met Kate once. I will never forget her. She had an extraordinary stillness and presence. I hope the knowledge of the difference she has made and will continue to make for many years to come will sustain Chris and all who loved her in the difficult times ahead. My heart goes out to all of you. May her lovely soul rest in peace. I’m at that age where my contemporaries are gradually losing their ageing parents. Plus doing all they can to help the ones who are left to cope with the indignities of living longer than our society seems to be set up for. We are all born. And we all die. And people haven’t suddenly started to live longer. It’s been happening for years. And yet we seem to have devised our health care system as though none if this were the case. As if there really were such a thing as saving lives. There isn’t. All health care folk can do is help to prolong a person’s life, hopefully until that person feels they have lived a full one. And in doing so, take account of their needs and wishes. About how they want to live and also how they want to die. In the NHS we aren’t always very good at the first. And we are often very bad at the second. There’s something very odd about the NHS. It’s called the National Health Service. And yet the majority of NHS time, attention and money is spent on hospitals. So much so that services that used to be called community health services were recently re-named ” Out of Hospital Care”. This may not seem important. But it really is. And this is why. Many years ago when I was a student nurse, I spent three months at what was then called a geriatric hospital. I remember an elderly lady who had suffered a stroke. Her face was turned literally and metaphorically to the wall. When I left the ward for my next placement, it was assumed she would soon die. Then a few weeks later, I had the opportunity to accompany the Health Visitor for the Elderly on her rounds. And in a tiny Cambridgeshire cottage, who should hobble to the door, all smiles, to let us in and offer to make us a cup of tea while her cat snoozed on the sunny window sill, than that lady? And I suddenly realised that people live in homes not hospitals, and that being in hospital for even a day longer than is necessary diminishes people. My lady managed to escape. But these days, not many are so lucky. If you wanted to devise a system that made sure that most elderly people die in their least preferred but also the most expensive possible place, i.e. hospital, it would be our NHS and the services that supposedly support it. Local authorities have been starved of cash. And now hardly anyone except the most profoundly disabled gets any help at home with what is called social care, but includes essentials like eating, drinking, going to the toilet and having a wash. Organising private home care is in many instances a nightmare and a lottery. Simple adaptations to stop old people from falling down at home such as stair rails, bath handles and toilet grab rails are impossible to come by unless you have the money to pay for them and someone who will arrange for the work to be done. Such jobs may seem simple. But they can overwhelm an older person. And yet as Atul Gawande says in his book Being Mortal, preventing falls is the top priority if you want to stop old people from being admitted to hospital. And where do they most often fall? On the stairs, getting out of the bath and getting on or off the loo. Atul Gawande also writes about the importance of nutrition in old age, the positive benefits of minimal medication, and how vital it is to ensure good care of the feet. All of these help prevent falling. But here in the UK, NHS chiropody is a thing of the past for anyone who is “just” old. I don’t know of any older person who has had useful, regular advice and support about eating well. And many older people are on multiple medications which cause dizziness, which then leads to falling. And when the almost inevitable happens and the older person “has a fall”, in most parts of this country there is still only one response, which is for two highly trained people to take them in a high-tech ambulance to the place where lives are saved, the hospital. And they will wait in A and E because it’s very busy there and their condition isn’t currently life-threatening. And they will deteriorate rapidly and possibly either get sent home, with an increased risk of readmission, or simply be admitted, in most cases never to go home again. Neither are great outcomes. In some A and Es, specialists in elderly care are at last being employed. We either need these people to be on duty 24/7 or we need everyone who works in A and E to become a specialist in elderly care because assessing and treating very old people is the majority of their work. And we need to do all that we can to prevent as many as possible such visits in the first place. As Benjamin Franklin said, for the want of a nail…. I love spending time with my mother and her friends and the parents of my friends. These people lived through WW2 and their parents through WW1. They have known hardship and loss. When they were growing up, anyone over 60 was old. They remember what things were like before the NHS. They are kind, funny and stoic in the face of much grimness. We owe it to them, and to the ones coming afterwards, including you and me, to reset the NHS dials so that it is possible to live well and to die well. And for everything to be focussed on helping older people to stay at home, or somewhere lovely that feels like home. In the end this will cost much less. And be so much better for everyone. My elderly lady would probably not have survived another stroke. But how much nicer for her to die in her own bed, with the cat asleep on the end of it, than in a lonely hospital ward. Now, can someone tell me who is in charge of Out of Hospital Care please? I’d like to help organise a renaming ceremony. It’s been a month for losing people from the soundtrack of our lives. David Bowie, Alan Rickman, Mott the Hoople and Bowie drummer Buffin, and Glen Frey of the Eagles. If there is a heaven, may they rock on up there together. But ….I’m also weary of gushing eulogies from people who never saw any of them live. Public outpourings of grief about people we have never met started to grow to excess after Princess Diana’s death. And social media has allowed this to multiply. There is even fear of criticism among those in the public eye if, on hearing about a death, they don’t immediately tweet a brilliant yet touching epitaph. I remember being told at school that “empty vessels make most noise”. It’s not the kindest quotation from Plato. But there is truth in it. Perhaps I’m feeling less sympathetic because my small family got even smaller with the loss of a dear relative over Christmas. She was a very private person. I don’t have permission to say anything about her or other family members. All I can say is that I have been very sad. Which is horrible, although better than depression because it a clean emotion and has a point. It also puts the sadness I feel about David Bowie et al into perspective. I miss them being there. But I am not bereaved by their deaths because I didn’t know them. When someone we know dies, whatever their age, we can help by remembering them with love and by caring for those closest to them who are left behind. There is usually a flurry of activity at the time of a death. Phone calls and social media messages can all help. Even better are letters and cards that the bereaved person can read time and again. The right words may be hard to find, but they can bring great comfort. I know this. What helps even more is keeping in touch with the person who is bereaved. The first few weeks and months are bewildering and lonely. Bereaved people may seem to shun others, but they desperately need social contact. Most people will at some stage go through a phase of feeling angry, sometimes for being left behind, sometimes even directed towards the person who has died. This is normal. The loss they feel is raw and cruel. They need an outlet, someone to hear and acknowledge their anger and allow it gradually to dissipate. Later, when they can bear it, they will find that they yearn to talk about the person who has gone. To go through photographs and remember things they said and did together. The kindest thing you can do for them is to listen really carefully, to show true interest, and do nothing to stifle these reminiscences. They are vital for the gradual healing process. Sometimes being bereaved can make you feel like a pariah. People seem to cross the road to avoid you. You may no longer be invited to social events where you were once welcome. I have heard those who are widowed and parents who have lost children speak of the added pain this can cause. And it is so unnecessary. Grief isn’t catching. What difference does it make to have an odd number at dinner, for example, or for someone to attend a birthday party even if they no longer have a child to bring? I hope the families of David Bowie, Alan Rickman, Buffin and Glen Frey encounter kindness, and have friends who stick around for them over the coming months and years. The accolades of fans will offer some small comfort. But like any of us, the thing they will most need is love and support from those close to them. There are many ways to be a good Samaritan. And the best one is by being there. I send love to all who have lost someone dear. May their dear souls rest in peace. And may those who are left behind find comfort and kindness from others as they grow accustomed to their loss. I’ve been watching the desperately sad story unfold of the awful, untimely, preventable death of a young man with learning disabilities. Only those most closely involved can comment on what led to his death. But what happened afterwards has become extremely public. Having done the job I once did, I feel the need to share some thoughts. I know this may provoke strong reactions. But to be silent suggests complicity about unfair discrimination of vulnerable people, lack of compassion and the opposite of openness in how the NHS too often deals with mistakes. And I am not complicit. The media, including social media, can be a massive force for good. The media can shed light on things that need to be uncovered, especially where the interested parties are far apart. And in the case of campaigning journalists like Shaun Lintern, they can help families eventually get to the truth. Although they really shouldn’t have to. The NHS is at long last waking up to the fact that the public understand bad things can happen. The public know that the NHS is staffed by humans who, by dint of being human, make mistakes. And that there are risks inherent in almost everything that the NHS does or doesn’t do. They know some mistakes occur because staff are careless or stressed or tired or overstretched or poorly trained or badly led. And they are realistic; they also know that a small number of staff do terrible things deliberately. But the NHS still needs to appreciate that the public will not accept cover ups. Below are some of my lessons on running services for vulnerable people, learned the hard way, by experience. And by not getting things right myself all of the time. Running NHS services is very, very hard. The hardest part is when things go wrong and patients are harmed or die in circumstances where this could have been prevented. It is what causes those in senior positions, like the one I once held, sleepless nights and to question our own fitness to lead. If leaders don’t have sleepless nights like this, they are almost certainly in the wrong job. Being a decent leader in one of these very hard jobs starts with having respect and compassion for those we serve. And the humility to admit mistakes. Leaders in the NHS need to be curious and ask questions. They need to seek the truth, however hard this may be. They should surround themselves with others who are curious too and not afraid to challenge their leader. They need clinicians of the highest integrity with deep knowledge of the care they are responsible for to advise them. And although NEDs and governors who pose difficult questions may occasionally be wearisome, good leaders know that such people are invaluable at questioning what might seem obvious and to upholding core values. I may not always have shown this, but it is what I truly believe. Some time after I left, I noticed that my old trust had been criticised for apparently taking too long to complete serious incident reviews. And I recalled my own occasional frustration at the length of time it took to receive outcomes from a review when I was desperate for answers. But now I’m thinking again. Investigating something properly takes time, especially when extremely distressed people are involved. Those investigating must be open minded and objective. They need to be released from other duties. They must not take everything they are told at face value. And they need the remit and backing to do whatever is needed to get to the facts. Timeliness is important, but not at the expense of uncovering the truth. I recall an attempted homicide by a patient. We were so concerned to find out whether we risked a recurrence that, rather than an internal investigation, we immediately commissioned a specialist independent organisation to investigate and report to us, with no holds barred, on the care and treatment of this patient. This informed us about some changes we needed to make. This approach was later commended by the coroner. But when a statutory independent review was eventually carried out more than three years after the incident, the reviewers devoted space in their report to criticising us for having commissioned that first report, even though they broadly concurred with the findings. There is no rule book for NHS leaders. You must work out what to do yourself. And often only learn with hindsight whether you got a decision right or wrong. The media onslaught that can occur after a serious incident can be all consuming and deeply distracting. The worst thing that can happen is that you are diverted from the real job, of providing good care and rooting out any that is less than good, into so-called “media handling”. I have been very close to getting badly distracted myself on occasions. My saving grace was probably having been a nurse first. But I don’t think that being a clinician is by any means essential to being a good NHS leader. Caring about what happens to patients is the only essential qualification. Apologising is never easy. But it can mean so much. Apologies should be sincere, whole-hearted, unqualified and platitude-free. They may not be accepted initially. They may have to be repeated, sometimes many times. The hardest meetings for me and those I worked with during my 13 years as an NHS CEO were with families whose loved ones had come to harm in our care. But I am so grateful to those people for giving me the opportunity to listen really carefully to them and to apologise to them in person. It may take a long time to achieve such a meeting, and sometimes several are needed. The effort is really worth it. 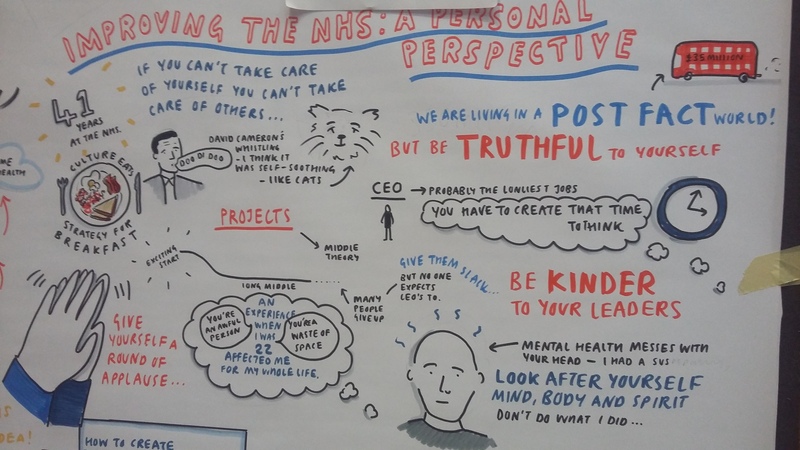 The NHS is a microcosm of society and is institutionally discriminatory towards those who experience mental illness or have a learning disability. This is manifest in poor staff attitudes, low expectations, inadequate investment, silo thinking, paucity of data including comparative benchmark information on incidents, and the negative way the rest of the NHS treats those who raise concerns about such things. I’m doing my tiny bit as a volunteer to improve matters but there is so much more for all of us to do. Talk of “numbers” without benchmarks and other good quality comparators can also be a distraction. Every unexpected death of a vulnerable person needs to be investigated to see if it could have been prevented. And that takes resources, which are in short supply in mental health services these days where the brunt of cuts have been made despite all the rhetoric about “parity of esteem”. Coroners are also overwhelmed; it often takes years before inquests into such deaths are completed, which is agony for the families. It really shouldn’t matter whether the person who died was young, talented, beautiful, courageous, funny or anything else. They were a person who mattered. My heart goes put to anyone who has lost a loved one, and especially to those whose deaths were in some way preventable. You have to live with “if only” for the rest of your lives. And that is the hardest thing of all. Some people call antidepressants “happy pills”. I’m not keen on this description. In my experience, they slice the top and bottom from my emotional range and I feel neither happy nor sad. Instead, they bring a calm which is welcome but can leave me feeling blunted, even flat. I know others describe similar effects. Antidepressants helped me go back to work very quickly after my breakdown in November 2013. Skilled care from my psychiatrist and GP, timely psychological therapy, and the kindness of colleagues helped even more. Plus an over-developed work ethic. For those lucky enough to have decent jobs, going back to work and feeling useful can play a big part in our recovery. I mention this because I want you to understand my state of mind on 24th February 2014, 6 weeks after I went back to my job at the time, running a mental health trust. Going back to work was probably the hardest thing I have ever done; one day, I hope to feel able to share why. Anyway, on this particular day, I attended a round-table event arranged by Time To Change. Had I not been on my medication, I might have felt the need to challenge what we were being told. Or wept. Because I and the other NHS leaders present heard stuff at that meeting that we desperately wanted not to be true. And yet deep down we knew it to be so. It was like learning about institutional racism. Only this time, it was institutional stigma and discrimination from the services we were responsible for towards people who use our services. We heard that, despite the measurable shifts in attitude of the general public (published in July by Time to Change for 2015 and again showing small but significant improvement), attitudes within the NHS haven’t shifted. In some cases, they have got worse. And the places where they appear most entrenched, as reported by those who know, ie patients, are within mental health services. And it rang horribly true. From this meeting was born a desire amongst a number of us to do something to change this. Five months later, at my retirement party, I listed some of the things I planned to do with my new free time. One of them was to offer my services to Time to Change to help tackle this intrinsic issue within mental health services. And although I planned to earn a modest living writing, speaking and coaching others, I wanted to do this work as a volunteer. I felt I had something to pay back. It has taken time to set up the project. But now it is underway. Time to Change are working with two mental health trusts, 2Gether and Northumberland, Tyne and Wear. Like me, they are volunteers. The trusts were selected because they could demonstrate their readiness at the most senior level to address stigma within their own services with integrity, hard work and, most importantly for me, compassion. On the working group, which I chair, we have reps from the two trusts, four experts by experience, our full time project manager, senior colleagues from Rethink and Mind who together are responsible for running Time to Change, and two people from a social research company who are doing the work on attitude measurement. You can read more about the purpose and details of the project here on the Time to Change website, including quotes from those taking part. And Community Care have published a piece about the project today. Stigma towards those who need mental health support is alive and kicking within the NHS. It manifests itself with lack of empathy towards those who self harm or are otherwise in crisis, as described in the recent CQC report; low expectations from clinicians about future prospects for people who experience serious mental illness; lack of investment in research into new treatments; marginalisation of mental health in the way the NHS is planned and organised; and unfair treatment of mental health services by local and national commissioners in their expectations and funding decisions. But I have high hopes. There is an absolute acceptance amongst those involved in our project that things need to change. And that instead of simply asking people who work in mental health to be more compassionate, that the change needs to start at the most senior level. 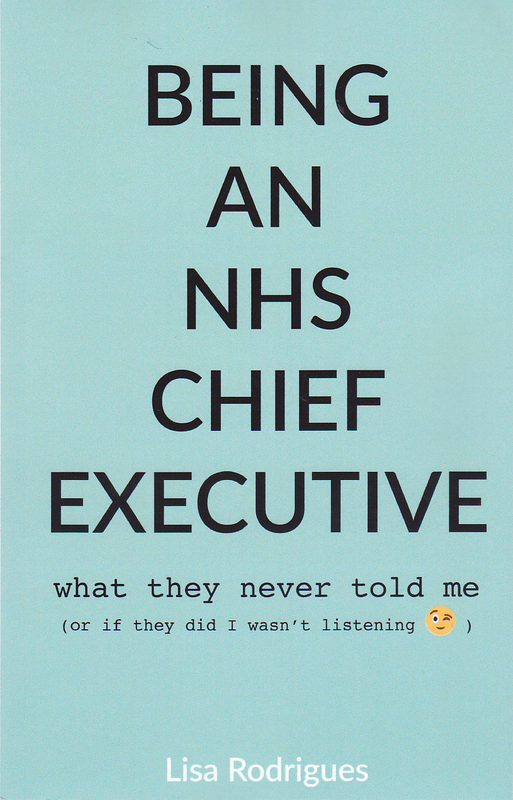 We have sign – up for this work from the very top of NHS England, Mind, Rethink, Time to Change and at the trusts. And we agree that for staff to work respectfully with patients and treat them with optimism, expertise and compassion, they need to experience the same from their colleagues, including their most senior leaders, their commissioners and their regulators. It was a long time ago that I was told by a nurse that I was a waste of space and that looking after me after I had hurt myself took him away from patients who were truly deserving of his care. At the time, I absolutely believed him. It took me many years to unlearn what he said. And it nearly broke my heart to hear, at that meeting back in February 2014, that such attitudes are still relatively commonplace today. The difference now is that we are talking about them. And acknowledging a problem is the first and most important step towards solving it. Please don’t just wish us luck. Please join in and help us tackle stigma towards people like me and millions of others who experience mental illness from time to time. I’ve been off my antidepressants for several months now. I feel like the whole me again, which has one or two negatives but is mostly pretty amazing. And whilst I am doing lots of things to look after my mental health in my new world, who knows if I will need treatment from mental health professionals again one day? Because there is no them and us. Only we. When the NHS was created in 1948, 64 was considered elderly. Both my grandfathers died during the 1940s aged 50 from what we now know to have been smoking related illnesses, having served in the WW1 trenches. My maternal grandmother died aged 65. My other grandma managed to last a bit longer; she died in December 1982 aged 79. 3 out of 4 died in their own beds at home. I was born in 1955, a child of the NHS. I have worked in it since aged 18. The NHS was set up to improve the extremely poor health of the nation after World War 2, with clinics providing advice and free milk, vitamins, orange juice and cod liver oil, as well as weighing and measuring children, hearing and eye tests, free dentistry, and checking for lice, nits, scabies and rickets. A mass free screening and vaccination programme began for common killer diseases such as smallpox, diptheria, tetanus, polio and TB. Going to the clinic with my mother and younger brothers was fascinating and memorable. Providing care free at the point of delivery to people who were sick or injured was a massive bonus for the public, but its wasn’t intended to be the main aim of the new NHS. Despite these wonderful founding principles, the NHS quickly began to increase its focus on treating sickness. The status of hospital medicine has always been greater than public health or primary care; this continues today. Radical health promotion initiatives such as the Peckham Experiment sadly closed down before they had a chance to prove themselves. I trained as a health visitor in 1978, having been inspired during my hospital nurse training – in 1975 I went out for the day with the local health visitor. As well as admiring her cream Morris Traveller and adorable spaniel puppy, I will never forget one visit. In a tiny cottage in a village outside Cambridge, we called on an elderly lady. I remembered her in hospital after a massive stroke, lying with her face turned to the wall. Back home, despite needing two sticks and very limited speech, she ushered us into her cosy kitchen, all smiles, and made us tea and biscuits while her cat snoozed on the sunny windowsill. Community services (those outside hospital that either help people to stay healthy or look after them at home when they are ill or dying) and mental health services have always been the Cinderellas of the NHS. Never more so than in the last few years, when they have experienced unprecedented cuts in order for commissioners to continue to pay for increasingly sophisticated physical hospital interventions. Today I have a lovely gig: joining 100 or so folk from the NHS and social care system in Kent, Surrey and Sussex, all of whom want to improve care for older people. It is organised by the KSS Academic Health Science Network. Life expectancy in Kent, Surrey and Sussex is the highest in the UK. Were it not for pockets of significant deprivation along the Kent and Sussex coast, and the appalling fact that people with serious mental illness live 20 years less than the population average (25 years less than the KSS average), it would be even higher. It is common for acute hospital wards to be entirely populated by people in their mid 90s and above. The people attending the event know things have to change. Medicalising old age is cruel as well as extremely costly. It is, fortuitously, Dementia Awareness Week and Dying Matters Awareness Week. I know from the research of my brilliant ex-colleague Professor Sube Banerjee that only 18% of people who have dementia only have dementia. The majority have between 2 and 7 other significant health conditions that seriously affect their lives. The way we run the NHS is simply not serving their needs, despite very elderly people being its majority users. I also know from the wonderful work of organisations such Dying Matters that these days, most people die in hospital despite very much preferring to be cared for at home. Today, we will be encouraging the people at the event to face this enormous challenge together. We have to do things differently. It says so in the Five Year Forward View. The attendees at this event are to some extent, like those involved in the vanguard sites across the country, the converted. But even they will have to throw away beloved ideas and think the unthinkable. I am indebted to @HannahTizard on Twitter for this lovely infographic about tall poppies. Tall poppies may experience meanness from others because they are full of ideas and are not afraid to challenge the status quo. They are always thinking about how to do things better and are not prepared to accept mediocrity, especially when it harms others. I will be using this lovely infographic today to encourage the people at the event, who I think of already as tall poppies, and giving them a link to this blog so they have a reference to keep. I hope you find it helpful too. Please be a tall poppy; challenge the status quo if you think the care you provide or commission isn’t what you think you would want yourself when you are 94 or even older. And do something right now to start making things better for every elderly person who wants fewer tubes up their bottom and down their throat, and more time to enjoy their latter days with somebody kind to sit with them, help them to have a drink and hold their hand. Meanwhile, as I intend to live until at least 94, I’m off to read Sod 70! by the indomitable Dr Muir Gray, to help me continue to treat my body hard but well, and How to Age by Anne Karpf, from the School of Life series, to help me manage my (sometimes fragile) psyche and approach old age with equanimity and joy. Post script: 11 hours after posting this, I’ve already had lots of feedback. One person feels I’m generalising and that the research quoted doesn’t support my view that older people would prefer to avoid unnecessary investigations. I agree that we must ask people and really listen carefully to their answer before subjecting them to invasive tests. Over 100 seem to like it so far.